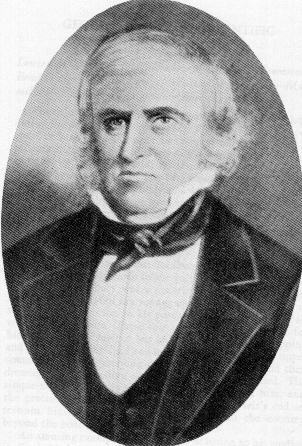 Peter Skene Ogden was a chief trader with the Hudson's Bay Company. In the period 1824-1829, he led five trapping expeditions to the "Snake Country" -- the upper reaches of the Columbia. Here are journals from each of those five expeditions. These have been converted to electronic form from publications of the Oregon Historical Society and the Utah Historical Society. They are available for either on-line viewing, or downloading. Note that the journals from 1825-26 thru '29 were edited before the 1824-25 journal was discovered, and that some footnotes in the former were made obsolete by the discovery of the latter. 1824-25 Expedition. This expedition is the first written account of that region of Southeastern Idaho and Northern Utah which includes Cache Valley, Ogden Valley, and the Weber River Valley; and of the famous confrontation between the HBC and the Americans. Included are Ogden's journal and that of his chief clerk, William Kittson. 1825-26 Expedition. Ogden travels from Walla Walla to the headwaters of the Des Chutes, up the Snake to the Malade (Big Wood) river, Raft river, and Portneuf, returning by way of the Willamette, having crossed Central Oregon. 1826-27 Expedition. The expedition travels to the Klamath country, a part of Oregon unknown to white men at the time. 1827-28 Expedition. Expedition to SE Idaho, winter on Snake, important observations of the movements of American Parties. 1828-29 Expedition. Ogden's last expedition to the Snake Country. Follows Humboldt River, explores region north of Great Salt Lake.